More and more professionals are coming to realise that LinkedIn is a place where they just HAVE to be. It is already a part of establishing your professional credibility in the connected world. 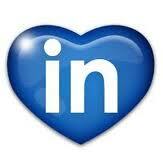 I’ve been a Linkedin fan and avid user for a few years now, and it is a critical part of my marketing. Why? Because it works. It helps establish credibility and expertise, it enables you to connect professionally with people you wish to do business with, and it is fabulous for supporting the rest of your SEO strategy. I get business from using LinkedIN, and so do some advisers I know and work with. It works if you get it right. 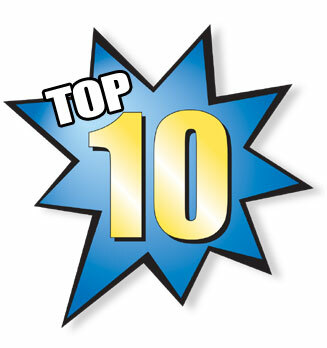 Here are my Top 10 tips and hard-learned lessons for financial advisers wanting to make the most of LinkedIn. Upgrade to the PRO version. $300 (USD) per year is nothing in your marketing budget right? The PRO version enables you to see a heck of a lot more information about who is interested in viewing your profile, and you can use that information. It enables you to reach out to people who you are not directly connected with via the LinkedIn INMAIL system. If you are going to use the network seriously as part of your prospecting and marketing, then it makes good sense to get all of its features and use it well. Get the key words right in your headline. This is searchable content, and you want to try and grab key words and phrases that position you well, that your ideal potential clients would use when looking for someone. If you are in doubt about what your ideal customers might use when searching for someone like you, then a really simple thing to do is ask them. It sounds simplistic, but I sent an email to 10 ideal clients (who I had personal relationships with) asking them what they would google. Much of what they said was expected – but there were some surprises for me too. Words and phrases that I wouldn’t have thought of. Combining that with a bit of Google keyword research helped me zero in on the right keywords and phrases. Construct your summary section. Once again, it is searchable content. Key words and phrases that your ideal prospects would use are important. More importantly though, downsize the industry jargon. Too many advisers load it up with stuff that only their friends in the industry understand. MOST importantly though, tell a prospective customer why they should choose you. What’s the benefit to customers that you promise? Personalise your profile URL. Get your name in your profile URL. Searchable content…but also easier for people to remember and find. Get a real email address. Maybe this is a personal peeve, but I just can’t take someone seriously when their professional profile has an email address like babygorilla@yahoo.com. C’mon…really? You want me to send a professional contact to that? Here’s what people really think when you’ve got the personal @yahoo or @hotmail email address there: This person is looking for a new job. Now THAT is guaranteed to make me not want to use your services. Make it pretty and get a bit of WOW. Once you’ve got your profile actually all completed, add further supporting documents. Video’s, PDF’s, images…they all add more to your credibility and expertise and assist potential clients or networkers to decide that you know what you are doing. Get recommendations. Testimonials and recommendations are really important and add weight to your professional claims. It isn’t so much about what people say in their recommendations – though obviously that can be extremely beneficial. It is more about who you get recommending you that really carries weight. Endorsements. I think they are worthwhile – though there is divided opinion on that. If you fall into the camp of thinking them worth using then think about what skills and expertise you list. It is a complete waste of time putting up a list of generic terms that everyone can do – unless they are a core competency area that you HAVE to be able to demonstrate expertise in. Think about your unique skills and list those. Then ask people to provide endorsements. A simple email within LinkedIn to your connections that asks for endorsements in a few specific areas – if warranted – together with a link directly to the skills section of your profile. make it easy for people to do it. TIP: when you first put your list of skills together you can set the order you want them displayed in, so put the ones you WANT endorsements the most in at the top of the list. People generally will have a tendency to go to the first few and tick those – but LinkedIn will take the top of the list, or top ranking skills, and promote those on your behalf to your connections. Welcome message. Unfortunately you can’t template this in LinkedIn’s email system, so the quick work around is to spend the time crafting a good welcome message and send it to a new connection. Then each time a new connection comes along go to your sent items box on LinkedIN emails and use the “forward” function to send it to your new connection. It is a fabulous way of cross-promoting other things you do that they might find helpful and creating engagement and conversations straight away. TIP: make sure to delete the “FW” in the subject line; untick the box that allows various addressees to see each other; edit the date/time stamp from last time which will now be in your text field. You then have a clean draft completed inside 20 seconds ready to send. About 58 minutes ago from Tony Vidler's Twitter via Hootsuite Inc.